Lotus driver Kimi Raikkonen is being tipped to fight for pole position at the season opener in Australia next month, and the world championship in 2013. “I am quite sure Kimi will fight for the championship,” fellow Finn Mika Salo, now a commentator for the MTV3 broadcaster, said. 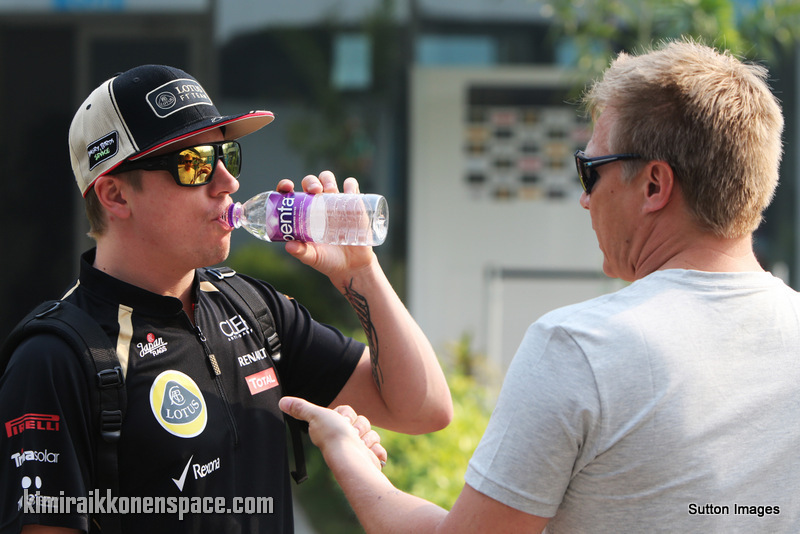 After two seasons in rallying, 2007 world champion Raikkonen returned to formula one with Lotus last year, finishing the championship third and winning in Abu Dhabi. “Last year he was not able to consistently show good results all of the time, and the team made mistakes that should not be repeated,” said former Sauber and Ferrari driver Salo. The third and final pre-season test takes place at the Circuit de Catalunya near Barcelona this week. The four day test which begins on Thursday provides the eleven teams with their final chance to test their cars before the Australian Grand Prix. In a first for the sport, testing will be shown live on Sky Sports F1 and in 3D, with the final two hours of each day being broadcast live. With the first two tests taking place in largely fine and dry weather, the first two days of the final test look set to be affected by wet conditions. Tipped to fight for pole? EVERYONE in all the big teams are tipped to fight for pole. And even though I do wish Kimi all the very best of luck for Melbourne, no one can say who exactly will be on pole! I agree lol But which teams do you think will be the main two contenders for pole? Hard to say but Red Bull and Lotus-Macca..
Red Bull, McLaren, Lotus, Ferrari. I hate to say this guys, but I have have a feeling Red Bull will take pole. They have a weapon of mass destruction: Adrian Newey. Lotus don’y have a Newey. I think, we everybody have a dream, who should be on pole….but let´s be realistic and it will be probably Red Bull?! Despite that – the life is full of surpises – we never know; maybe Australia will be the place, when the best will happen!! Hope Lotus improve on their reliability.